Areas of Practices | Dodge & Monroy, P.C. 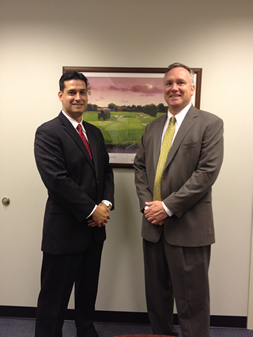 The firm has undertaken the defense of a wide range of general liability and personal injury matters. They include motor vehicle accidents, property damage claims, premises liability, products liability, construction accidents, labor law and wrongful death claims. In defending these matters for trial, we provide our clients with a thorough analysis and evaluation of all potential legal, medical and factual issues that will be presented. This affords our clients the opportunity to make an informed decision as to how to best proceed with their defense. The firm�s first party coverage work includes Examinations Under Oath in no fault litigation, suspected arson and all types of property damage claims. We also represent insurance carriers in law suits following the issuance of denials and or disclaimers. The firm specializes in representing insurance companies in all areas of insurance fraud. We are proud to say that our firm is an innovator in the field of combating insurance fraud. We are skilled in all areas of insurance coverage and are well versed in UM/SUM claims as well as declaratory judgment actions. The members of the firm have defended the interests of physicians, hospitals and nursing homes in a myriad of malpractice claims. We are intimately familiar with the complex medical and legal issues associated with this type of litigation. Mr. Dodge has focused his practice in this arena for over twenty years and has a number of successful jury verdicts involving these types of matters. Our focus in these claims is to establish a rapport and trust with our clients so as to best guide them through the process. We believe that trust between the attorney and his client in malpractice claims is of paramount importance in making the multiple decisions necessary to achieve a favorable outcome. A representative sample of our insurance defense clients include Utica Mutual Insurance Company, New York Central Mutual Insurance Company, A. Central Insurance Company, Farm Family Insurance Company, Preferred Mutual Insurance Company and Allstate Insurance Company.